Home / Bollywood and Hollywood / Why Cheat India Film Review: Emraan Hashmi seen hurting on education system with suppressive acting. 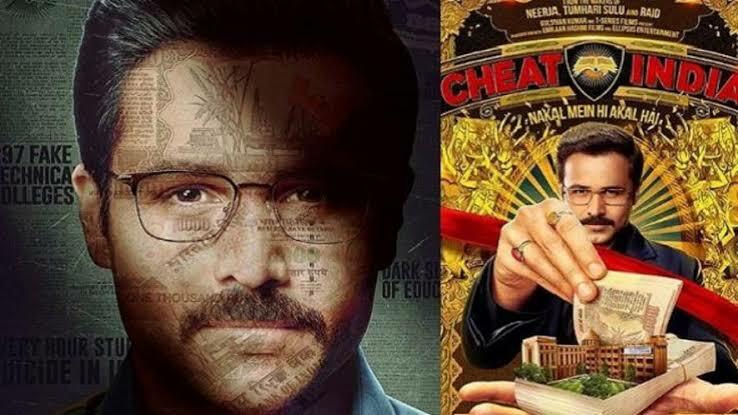 Why Cheat India Film Review: Emraan Hashmi seen hurting on education system with suppressive acting. In 2013, Neil DeGrassus Tyson (American Astrophysistist) said, "When students are given more importance than Graduate value, then students cheat in Examinations." The same thinking of Neil in Why Cheat India was directed by director and writer Soumik Sen was tried to show in the film. With a focal point, Emraan Hashmi has done the task of presenting the story of crime in India's education system; Whether it is for engineering and medical exams or for MBs. Though the intentions of this story are true, but it is failing to put it into practice. So in the end, what we get is the close-up caller of an overdramatic 90, which has songs in the last. Why Cheat India's Rakesh Singh shows the life of Rocky, whose main purpose is to make just more money! For his own advantage, he uses greed inside every person. Rakesh uses educated children to write a questionnaire for Entrance Examination for the children of the money and the people of Famous people. In the same way, one of his victims becomes a boy named Sattu and even his sister gets trapped in this trap. But when Sattu becomes accustomed to this game, he starts raising the problem for Rocky. Because of this, things get worse. At the same time, a love story is also shown in the film between Rocky and Sattu's sister Nupur (Shreya Dhanwanthary). In this film, Emraan Hashmi has played the role of Rakesh in a very good way by hiding the incarnation of his romantic boy. It does not matter what ultimately the result of the movie will be, but it seems like the rest of the film's acting is showing in the film as well. In his debut film, Shreya has done the best job of screening Nupur's screen, and his chemistry with Imran is best taken. While the performations proved to be the backbone of this film. Through the film, efforts have been made to draw attention of people on the topic which has completely ruined the education system of India. In the first 10 minutes of this film you will see education system from a young student perspective. Which attempts suicide. He is compelled to write his entrance examination by his father. While some such memorable scenes remain in this movie which have worked to spread awareness. Also, if the screenplay was great then the film could have been made more well. In the last credit, the whole song except for the track is a main part in this film. The cinematography and editing of Alfonso Roy and Deepika Kalra were excellent without any questions. Because some scenes were very laughing in this movie. If the total is said to be taxed, then Emraan Hashmi's film Why Cheat India can be seen once. This film could prove to be an A + grade if more work was done on it.